They may sound fancy but these delicious dishes are so easy to make! Throughly mix all ingredients together except oil in large bowl. Form 4 flat patties and fry in oiled pan over medium-high about 5 minutes on each side or until burgers are golden brown. 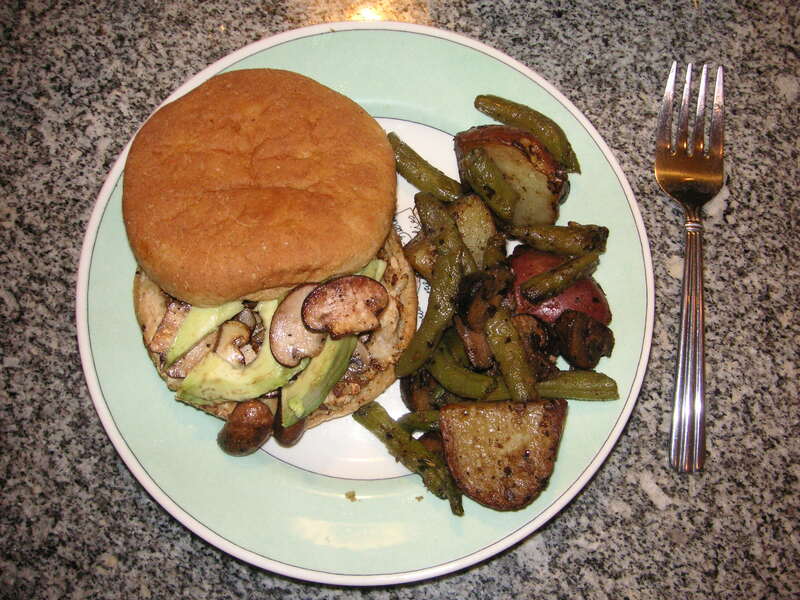 Great on a bun with sliced avocado and sauteed mushrooms. Fresh green beans taste so much better than canned and can be found in the produce department of most grocery stores. Preheat oven to 400 degrees. Spray medium casserole dish w/ non-stick spray and add the mushrooms and potatoes. Melt butter in a small bowl then add garlic, basil and thyme – drizzle over veggies and toss to coat evenly. Roast until the vegetables begin to brown, about 20 minutes. Remove from the oven and toss in green beans. Season with the salt and pepper, return to the oven an additional 10 minutes, or until vegetables are golden brown and potatoes are tender.